If anyone deserves a great Father's Day card, it would be your grandfather! He raised your parent with such great care that it set the example of how you would be raised. So your grandfather not only deserves to be wished Happy Father's Day, he also deserves a thank you! He will be so happy that his grandchild took the time to say Happy Father's Day. Send this terrific greeting card now, he will love it! 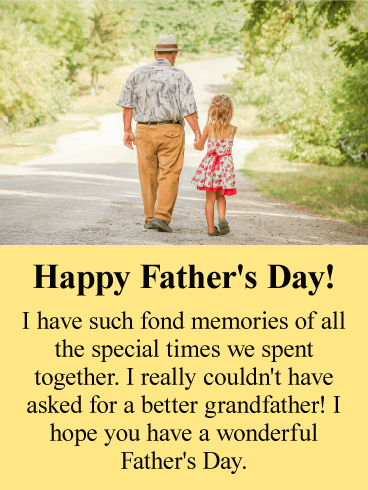 Grandfathers are awesome and should be sent a terrific Father's Day card! Your grandfather will especially love this greeting card because it features a fantastic image that he can relate to. It also expresses that his grandchild is wishing him a day filled with love and care. It will touch his heart and make his day! Be sure to get this well-dressed gentleman over to your grandfather this Father's Day without delay! Grandfathers are great! They have accomplished so much in life and one of those things is being a good father! 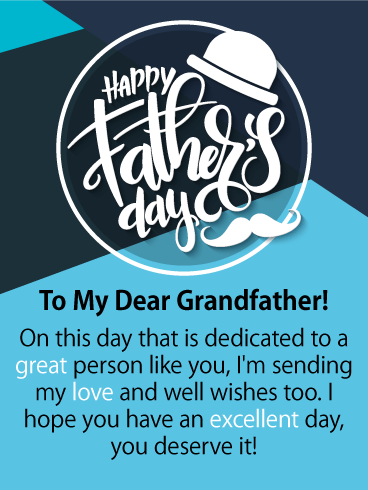 This sensational Father's Day card will make your Grandfather realize how lucky he is to have such a thoughtful Grandchild like you! 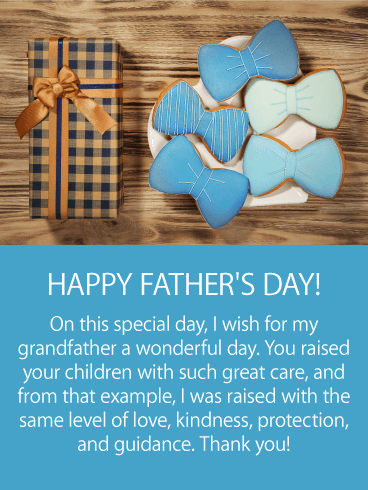 It displays great Father's Day icons and words that will make him feel good inside!. 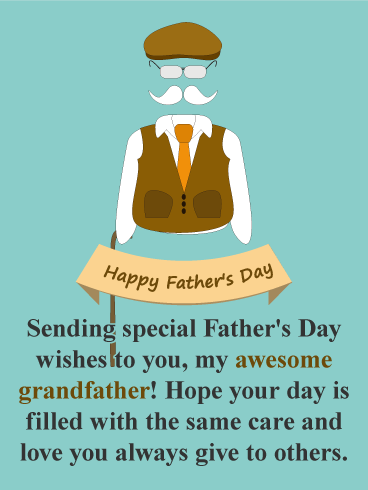 Wish your Grandfather an excellent day with this Meaningful Father's Day card today! 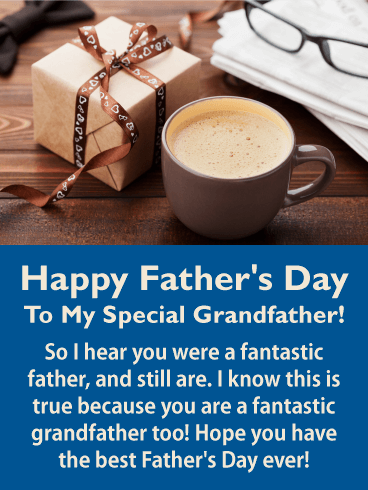 If you have a special grandfather that you feel is fantastic, then it's time to send him a Father's Day card to let him know! This great Father's Day card features a perfectly wrapped gift and a great cup of coffee. This, along with the thoughtful message, will make him so glad you sent this Father's Day card his way. Wish your Grandfather the best Father's Day ever, it will certainly add joy to his special day!